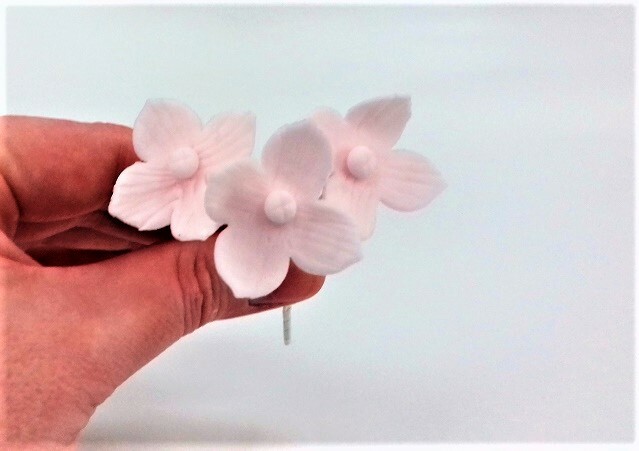 This is a quick and easy tutorial to make wired gumpaste hydrangea flowers that doesn’t involve trying to adhere fiddly little centers onto wires or waiting for the centers to dry overnight. These hydrangea can be made all in one go. 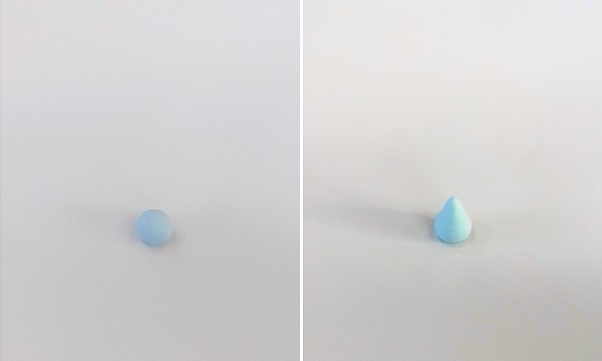 Take small ball of gumpaste and roll into a short cone. 3. Place your hydrangea cutter down over the cone and cut out a hydrangea blossom. 4. Using the needle nosed pliers, make a hook on the end of a piece of 26-guage wire. 5. Dip the hooked end in some edible glue and wipe off the excess. 6. Thread the wire (from the unhooked end) down through the hydgrangea flower until thehooked end is barely peeping through the top of the blossom. 7. Using the narrow end of a Dresden tool, mark some lines on each petal to represent the veining on the flower. 8. Dust some blue petal dust in the center of the blossom (going from the very center outwards with your brushstrokes). 9. 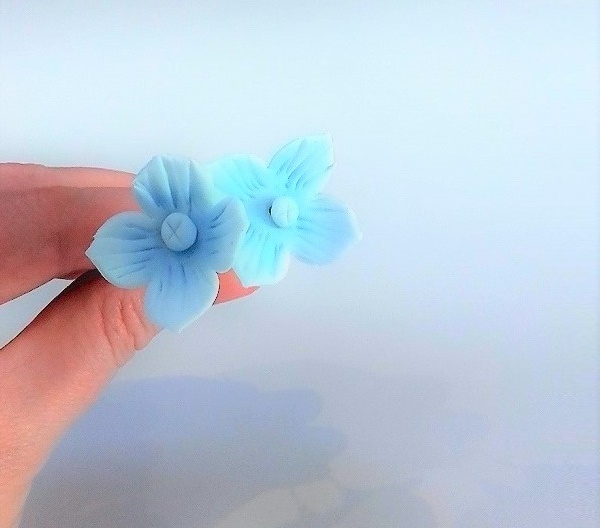 Take a tiny ball of gumpaste and add it to the centre of your blossom with edible glue. 10. With a small sharp knife, mark a vertical and horizontal line on it, meeting in the center. 11. 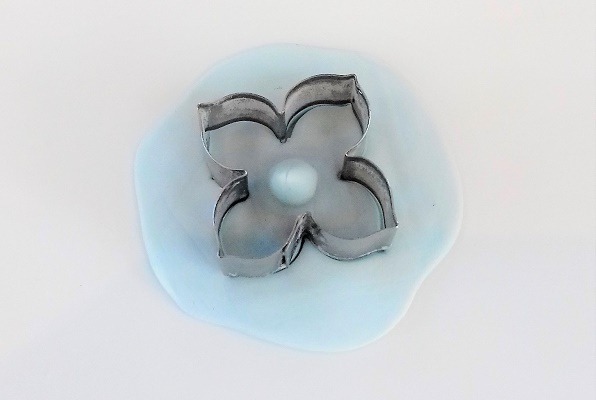 Hang your hydrangea upside to dry on a flower drying rack or mug stand. 12. 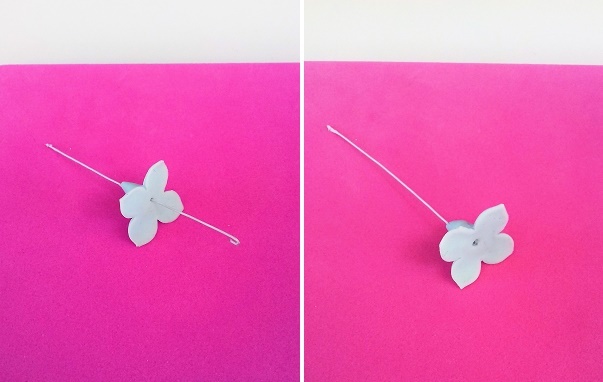 The wired blossoms can be used in gumpaste flower arrangements singly or taped together in bunches of three.